Reservations must be made at least 2 weeks in advance. Call (310) 326‑6255 or rrstaff@lomitacity.com, Thursday through Sunday, 10 a.m. - 5 p.m.
$100 deposit required. The deposit is refundable. Bathrooms are available inside the Museum. The gift shop will be open and offers railroad related items starting at 25¢. 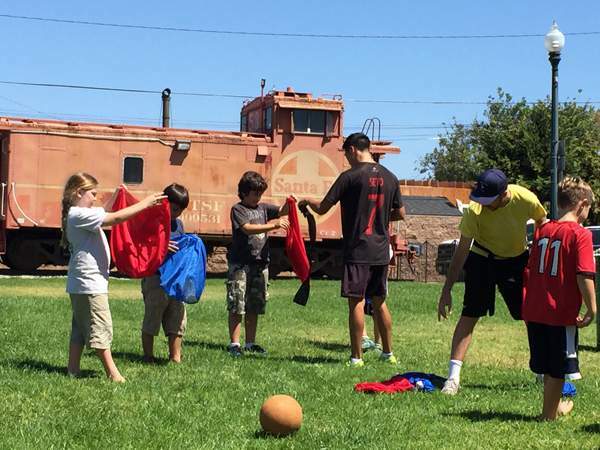 The Lomita Railroad Museum offers a beautiful, secluded, and secure park setting that will make your celebration memorable. Commemorate special events such as birthday parties, family reunions, weddings, and business events here! The museum is located in a quiet residential area, just one city block east of Narbonne Avenue. Parking at the museum is free, with additional street parking nearby. 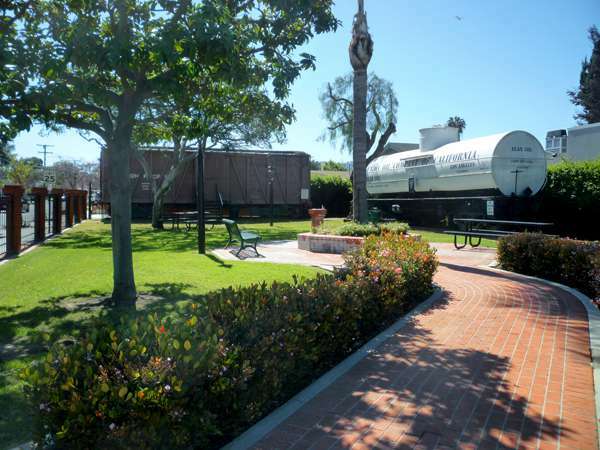 The Irene Lewis Park (next door to the museum) or the Annex Park (across the street from the museum) are both part of the Lomita Railroad Museum complex and available to rent. The Annex Park has a 1923 Union Oil tank car and a 1913 Southern Pacific wooden boxcar, while the Irene Lewis Park displays a 1949 all-metal Santa Fe caboose. All fees and/or deposits are to be paid 5 working days prior to your event. All changes to your event will need to be made 5 days prior to your event. This application becomes your permit for facility use upon authorized approval and payment of all fees and/or deposits. Please check in and out with museum staff before and after your event. Park facilities must be left clean and in the same condition presented before your arrival. 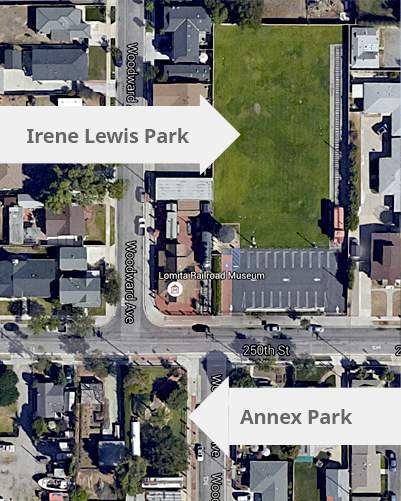 You may bring food, drinks, chairs, BBQ grill, balloons, and a piñata to enjoy at our Annex Park & Irene Lewis Park only. Vehicles may not enter the park to drop off or pick up any equipment (BBQs, tables & chairs, tents, etc.). Payment Options: DEBIT, CREDIT CARD, CASH, and/or CHECK. ALCOHOL is STRICTLY PROHIBITED at all park facilities. Fun Jumpers/Bounce Houses, Trackless Trains, and Petting Zoos are STRICTLY PROHIBITED at all park facilities. Decorating is prohibited inside the museum. Eating and drinking is prohibited inside the museum, with the exception of bottled water.